Mikaela Shiffrin training at Beaver Creek. 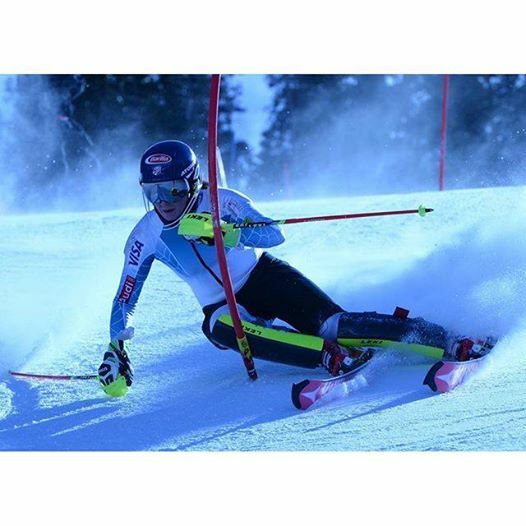 Carolina Panthers quarterback Cam Newton could learn a thing or two from Eagle-Vail ski racer Mikaela Shiffrin, who announced on Monday she’s coming back from a knee injury sooner than expected and will return to the World Cup circuit next week. Given how ineffectively the Denver Broncos were moving the ball on offense, that last part of Newton’s statement is highly debatable, but anyone who saw former Broncos quarterback John Elway helicoptered by Green Bay defenders in Denver’s first Super Bowl win in 1998 might question Newton’s desire to win the biggest game of his career at any cost. Regardless of Newton’s motivation for not trying to fall on the ball so his team could punt, it’s an indictment of his risk-adverse approach to the game that a 5-foot-7, 140-pound ski racer seems to have a greater desire to perform on her sport’s biggest stage, no matter the health risks. Shiffrin crashed during a training run on Dec. 12 in Are, Sweden, suffering a deep bone bruise and injuring the medial collateral ligament in her right knee, which was the first serious injury of her career. Her doctor in Vail later found a small hairline fracture in the knee as well, but Shiffrin was still targeting a March return. Vail’s Lindsey Vonn, currently leading the overall World Cup chase, will be the featured star this weekend in Crans Montana, Switzerland, with speed events on Saturday and Sunday, but Shiffrin’s return on Monday will create quite a buzz in the ski-crazed nation. “Second session! Typical Colorado weather.🙊😋 HUGE thanks to @lovelandskiarea @beavercreek and @vail_resorts for getting me back at it with spectacular training,” Shiffrin wrote. After finishing second in the season-opening giant slalom in Soelden, Austria, in October – a race she won in 2014 – Shiffrin came home to become the first American to win in Aspen in more than three decades, claiming two slalom races and very nearly winning the GS. Shiffrin even earned her first-even speed-event points in a super-G at Lake Louise, Canada, that was won by Vonn. Then came the training injury at Are at a point when Shiffrin was only 15 points back in the overall World Cup chase – a race Vonn now leads by 87 points over Swizerland’s Lara Gut. Shiffrin is way out of that hunt as she returns, and there are only four slalom races left – an event she dominates – so it’s not very realistic that she’ll be able to defend her back-to-back season slalom titles. She currently trails Sweden’s Frida Hansdotter by 305 points in the slalom chase. Up next for the women are a downhill, combined event and that makeup slalom in Crans Montana. With nine wins this season, Vonn has a realistic shot at tying or breaking the single-season victory record of 14 wins set by Switzerland’s Vreni Schneider in 1988-89. A speed specialist, Vonn still has four more downhill races, six more super-G races and three more combined events to get five or six more wins – an accomplishment that would also guarantee her an American record fifth overall World Cup title. Shiffrin will have to wait until next season to get back into that hunt, but her next win will tie her for second all-time among American women with Tamara McKinney’s 18 career victories. Then it’s a long way to go to catch Vonn and her all-time women’s record of 76 career wins.